Report dedicated to Sigep 2018, international exhibition for the HORECA sector: competitions, events, technical seminars, conferences and practical demonstrations. 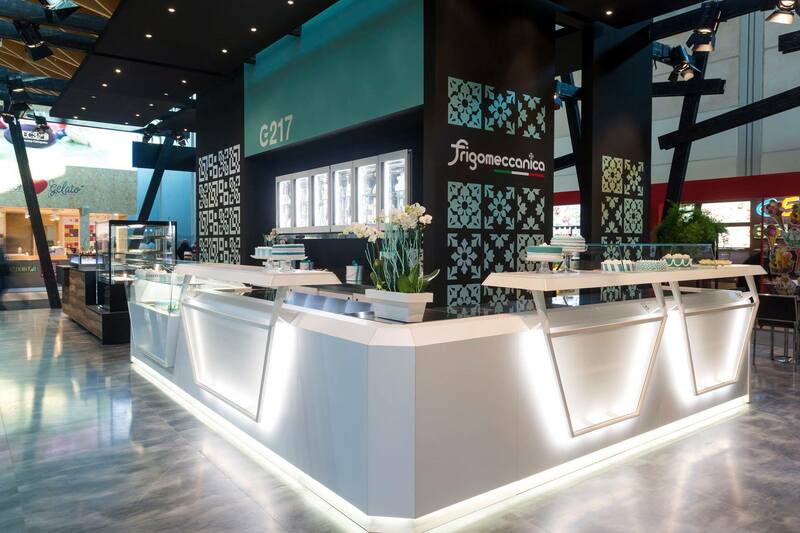 Professional furnishings for bars, ice cream display cases, pastry and bakery shops presented by Frigomeccanica: Be Like, G-217, Genius, Premium. Sigep has reached the thirty-ninth edition in 2018! We are talking about the most important international exhibition in the world concerning the chain of artisan confectionery. Privileged are the sectors of ice cream, confectionery, artisanal bakery and coffee. Dedicated to HORECA professionals from every corner of the globe, Sigep is a point of reference for individuals and industries, a leading fair in the launch of new trends and a focal point for meetings between professionals, manufacturers, media and trade associations. The last edition of Sigep took place from 20 to 24 January 2018, as always at the Expo Center in Rimini, and the dates for the 2019 round, the year of the fortieth edition of the event, are already known. 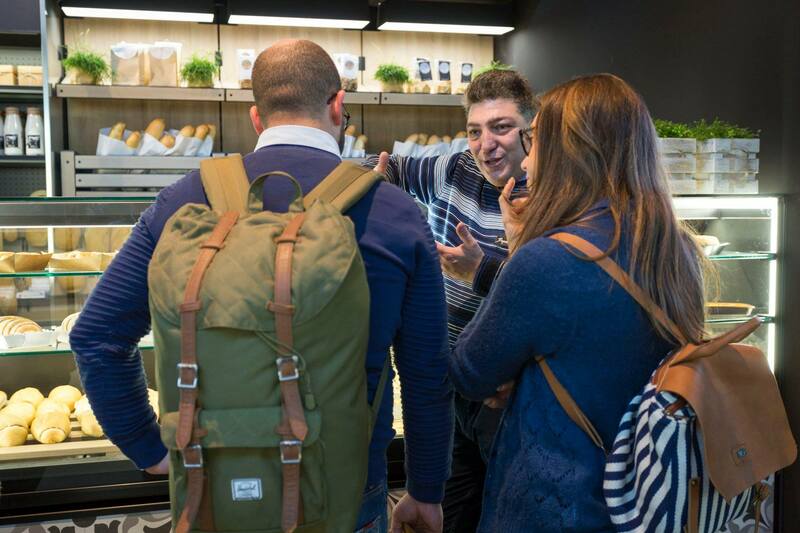 Sigep’s constant goal is to carry the Italian flag all over the world, exhibiting the excellence of the peninsula and combining Italian taste with new products from all over the world. 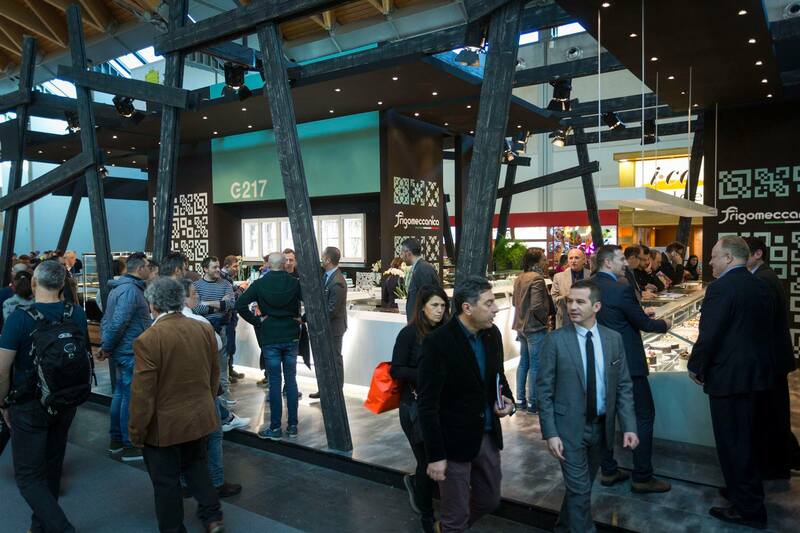 Inside the exhibition it is possible to see a preview of the main trends and innovations regarding professional bar furnitures, confectionery, ice cream display showcases, coffee and bread making. The focus is mainly on equipment, raw materials, systems, services and professional furnishings such as ice cream showcases. The participants of the event are HORECA professionals from more than 40 countries, whose participation is guaranteed by a dense network of collaborators. To facilitate the management of appointments and meetings to be held during the exhibition, the Five Continents Top Buyer project has been initiated. The exhibition pavilions of the event are 16, spread over 118,000 square meters, which in 2018 were able to contain the influx of 209.000 visitors, exceeding 161.000 in the previous year. In addition to exhibiting news and trends in the artisan confectionery sector, Sigep is considered a real Live Show, full of competitions, events, technical seminars, conferences and practical demonstrations. The contests and competitions are divided into sectors, just like the pavilions, and include: Ice Cream, Chocolate, Bakery, Coffee and Pastry. As for the ice cream section, the World Cup of Gelato and North European Gelato Challenge competitions, in which the competitors challenge each other with homemade ice cream, do not go unnoticed! In the Pastry sector stand out The Pastry Queen, world championship of female pastries, World Championships seniors and juniors, Pastry & Culture, a challenge that combines the love of pastry with that of culture, and finally the Sigep Giovani competition, dedicated to emerging talents in the field of confectionery. Dedicated to new ideas is the contest in the baking section, Young Ideas, accompanied by Bread Art. For chocolate masters and chocolate lovers, the Cioccolateria section is a true paradise in which the following stand out: The Star of Chocolate, Chocolate Academy, the Chocolate Chipboard Championship and The Ultimate Chocolate Award. Closing the events is the Coffee section, which offers various Italian Championships for Barista, the Italian Coffee Championships, the Brew Bar & Espresso Bar event, and last but not least the Barista & Farmer event. Of particular importance is the Sigep Academy, which emphasizes the importance of training sessions with great masters of various fields, dialogues and comparisons. All accompanied by seminars and demonstrations conducted by true professionals. Among the partners of the event, Sigep boasts a number of companies in the HORECA sector, which have confirmed their participation for several years. One of these is Frigomeccanica, which joined the event in 2018, confirming itself as one of the most important partners of the exhibition. For over 40 years, Frigomeccanica has been a leading company in selling professional furniture for bars, refrigerated showcases for ice cream shops, confectionery showcases and food counters, and offers its customers an attentive approach to design, combining it with elements that promote the right refrigeration required maintenance of foods such as ice cream, bakery and pastry products. Perseverance in a continuous aesthetic and technological research is, in fact, one of the strong points of the company, as explained by the head of Marketing and Sales of the company, Enzo di Serafino, during an interview during the event Sigep. BeLike, G217 and Genius are the new furnishing lines presented during the Sigep 2018 exhibition and represent a combination of aesthetics and functionality. 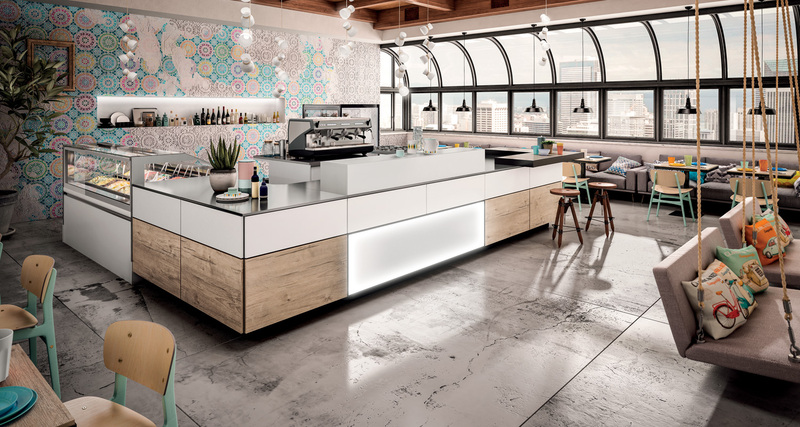 The mix between wood and trending shades of white and black is the novelty of furnishings presented by Frigomeccanica, a sign of a tireless search for functional aesthetics that characterizes the company and which, for some years now, seems to represent the main demand in the artisan confectionery market. Steel shelves flanked by black anti-fingerprint tops, iridescent colors and aesthetic innovations: these are the main innovations regarding the G217 line presented during the exhibition. Frigomeccanica also offers the possibility to modify the materials and finishes, so as to make each furniture absolutely personal, unique and unrepeatable, offering its customers that touch of class and originality that in today’s market seems to be increasingly necessary. All of this, obviously, combined with the essential quality-price ratio. In addition to G217, Frigomeccanica offers three other lines and among these stands BeLike, a name that refers to the “like” used in social networks, as explained by Enzo di Serafino, defining the product as a youthful and trendy element, available in several shades. The BeLike furniture presented at the Sigep is proposed in a dark shade unit to a series of drop-in glass windows, which allows you to create a touch of elegance, without ever forgetting the function of such furniture. The drop-in glass windows allow, in fact, the execution of a simple and fast bar service, together with the display of pastry and gastronomy products. 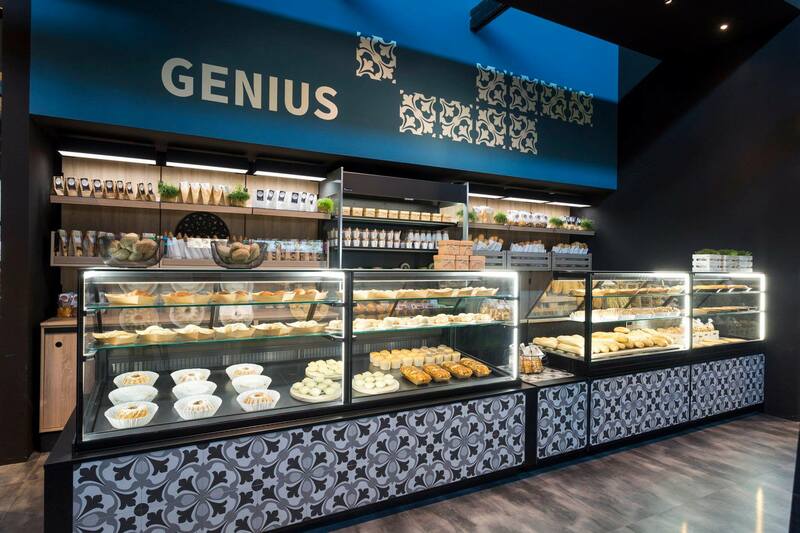 Genius is instead the proposal regarding the furnishing service for pastry and bakery, dedicated to all bakers, from the smallest to the largest. The classic bakery display case is, in this case, integrated with an equally classic pastry display case, all accompanied by a retro counter for salami and special breads. All, as always, accompanied by a wide range regarding the choice of colors and types of wood used in the realization of furnishings. 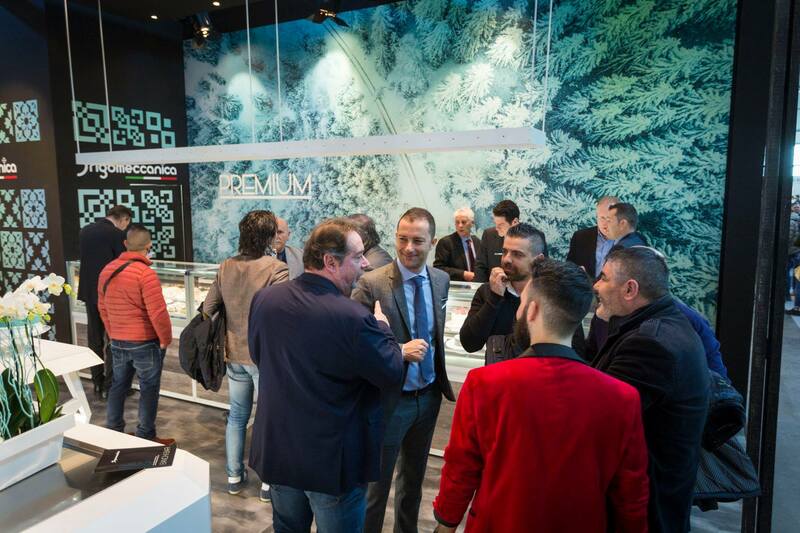 At this point, we are expecting more and more at Sigep 2019, the edition to be held at the Rimini Fair from 19 to 23 January 2019.